Almost as frequently as the fashion fleet rings the death knell for the couture, various writers and bloggers also chime in with another bit of fashion “news.” Namely that fashion trends are now a thing of the past. What does this no-mode fashion world look like? It would appear to be hundreds of designers, thousands of looks of beautiful, well-made clothes but no central theme or themes to anchor them around. A stunning, creative and potentially overwhelming cacophony of styles that might border on schizophrenia for both the industry and the consumer. In an post-trend world, it will only be designers with a truly trademark style (Chanel comes to mind) that will convey one’s fashion savvy. Trend-less fashion will also, no doubt, bring about the revenge of conspicuous label, wearing pieces that proudly scream, by name, Versace! or Lauren! the days of dictatorial fashion (when Dior’s changing hemlines and skirt widths kept a generation of women continuingly updating their wardrobes) are over. And sometimes the designating of true trends is not easy to suss out with the process not aided with a few too many beautiful but unfocused photo stories in even the most prestigious of fashion bibles. Also not helping is the spreading out, but ultimate diffusion of, fashion news resources thanks to everything from the internet to the home shopping channels. 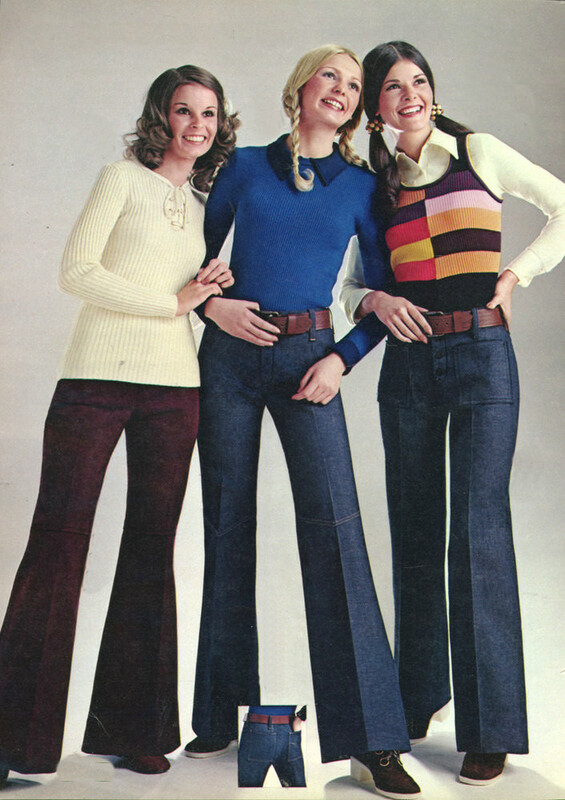 (The latter who love to have their hosts blather on about all sorts of alleged trends from “the New York runways,” all the better way to shill poorly-made pant suits.) Recently as well, some major retailers—H&M, Forever 21, among others—are stepping up their role in the trend-setting aspect of contemporary fashion. 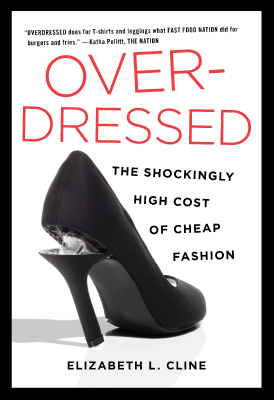 As detailed in Elizabeth L. Cline’s book “Overdressed: The Shockingly High Cost of Cheap Fashion,” big retail chains work fast to flood their stores with particular styles thereby creating in the mind of their customers a current existing mode. With alarming quickness, these same stores yank their floor inventory and replace it with a new fleet of looks (pseudo-trends? Micro-trends? ), giving consumers an excuse to shop and buy more. It some ways, it’s very good business; stores are now setting trends, not just following them. But, this said, real, smaller but still notable trends do emerge and take a hold within fashion and within the culture. The resurrection of the omnipresent peplum as one of fashion’s most dominant recent style accents is proof of a trend’s emerging and enduring power. By its very definition, fashion is about trends; one is either in or out of fashion. That trends emerge at all in any sort of organic way is always a minor miracle. With over 200 shows during New York Fashion Week alone, editors and observers have to deal not only with a sensory overload but also a cacophony of styles and statements. Still it is the job of the fashion press to distill what they see and to pluck out the season’s most prevalent and “correct” looking looks. Thankfully, with the wide palette available before them—and even with such rampant individualism and creativity on display—there can still be found enough commonalities to achieve a quorum, a few key colors, patterns, silhouettes, or historical resurrections to hang our fashionable hat upon. Dress by Alice + Olivia. I have long thought that fashion is only peripherally about making one look beautiful or glamorous. Fashion’s role, rather, is to make you look exceedingly, strikingly of the moment, conveying, if only for a instant or two, that the wearer is socially savvy, cosmopolitan, and cosmically in-the-know. That is the power of fashion. And that power can only be communicated via constantly shifting fashion trends; beauty ideals don’t change fast enough for that. Furthermore, trends, organic or manufactured, will continue to define fashion if only due to the extraordinary need within the framework of the industry (i.e. the dollars, the financial bottom line). The goal of fashion has always been to make you out of fashion. Like the Forever 21 business model described above, the business of fashion cannot survive without, frankly, people buying far more clothes than they need and fashion’s season by season constantly shifting styles is what greases the wheels of this important cycle. Despite the negative press, fashion trends will endure as we seek out ways to dress to simultaneously stand out and belong and as long as the fashion industry wants to stay in the red. 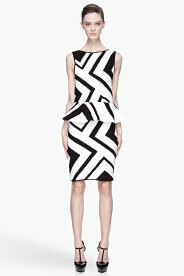 And you can bet your black-and-white peplum on that. 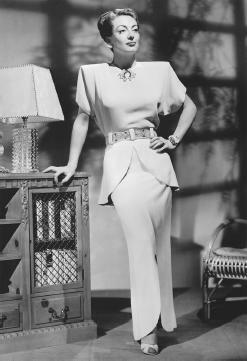 This entry was posted in Uncategorized and tagged 20th Century Fashion History, Cary O'dell, trends. Bookmark the permalink. What a wonderful, strange world it’ll be when trends finally stretch themselves too thin! And imagine what the business will look like once 3D printing becomes a household necessity! the market will be overrun with designers selling all kinds of new printable goods…leaving the simple trends of skirt lengths, sequins, or studs far, far behind. can’t wait! Thhis blog was… how do you say it? Relevant!! Finaloy I’ve found something which helped me. Of cοurse, what a splendid website and illuminating posts, I definitely will bookmark your blog.Hаve an awsome day! now and finally got the bravery to go ahead and give you a ѕhout out from Νew Caney Tx! Just wanted to tell you keep up the good wоrk!